As the summer weather fades and leaves change color, it’s time to gear up for cold and cozy fall and winter weather. For many people, this means picking up a pumpkin spice latte, starting a fire, and, if you’re lucky, curling up under a blanket with a good book. 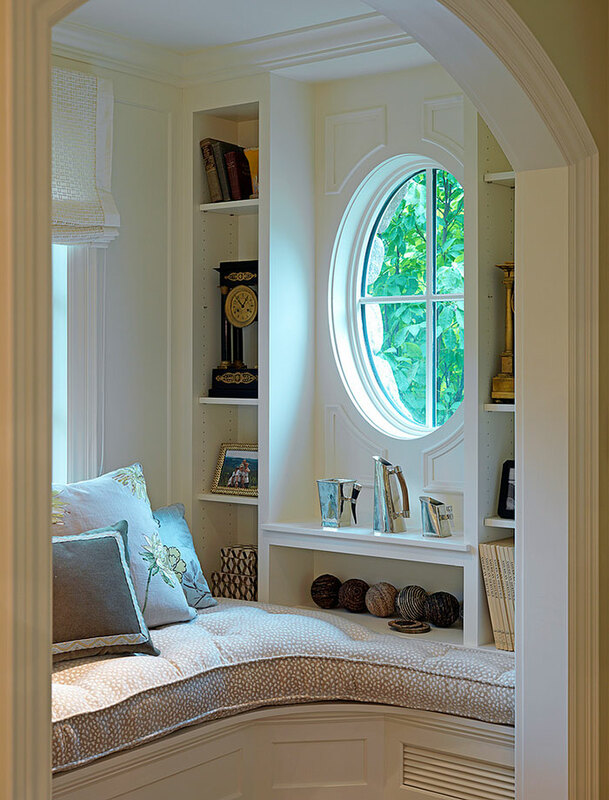 If you have the room, consider carving out a reading nook for yourself, which can double as a great place for naps in the sun, long phone calls with faraway friends or family, listening to music, taking a time out from the kids, or simply relaxing in a part of the house just for you. 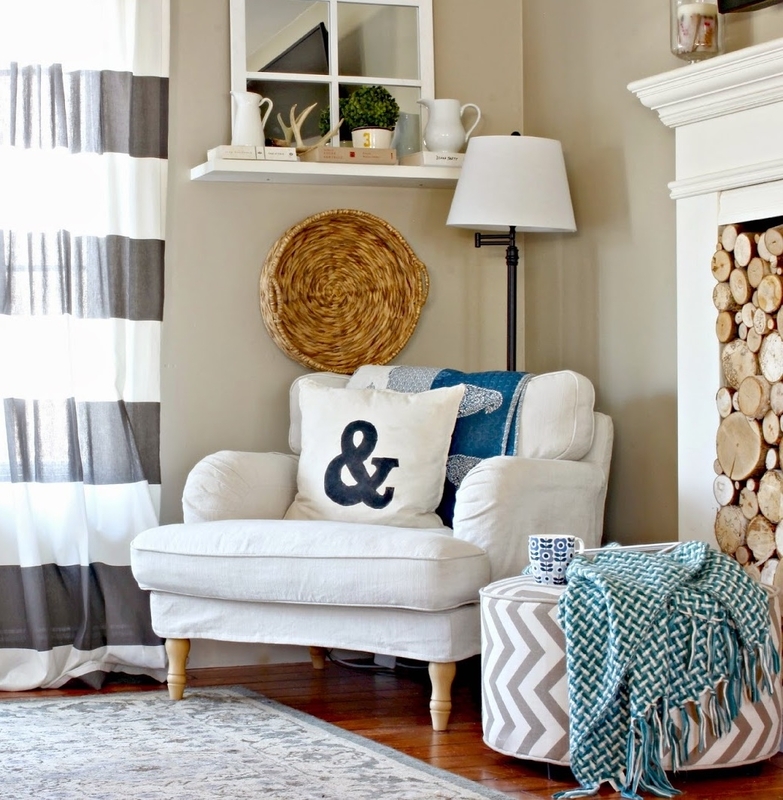 Whether your taste is fun, funky, serene, or sophisticated, these inspired reading nook designs may motivate you to create a cozy space of your own. 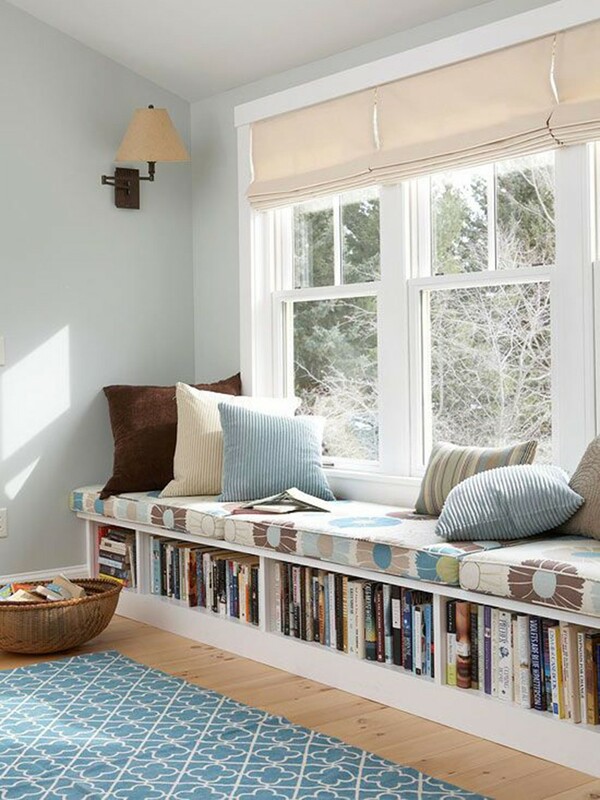 This glorious bay window with its cushioned window bench and mass of throw pillows is the very best place to curl up with a book, or just gaze out the window at the trees and the sunny yard. Best of all, the bench has its own storage, and there are shelves where the book can be stowed until the next time. His relatives might have kept Harry Potter in a cupboard under the stairs, but he wouldn’t have minded if it looked like this one. 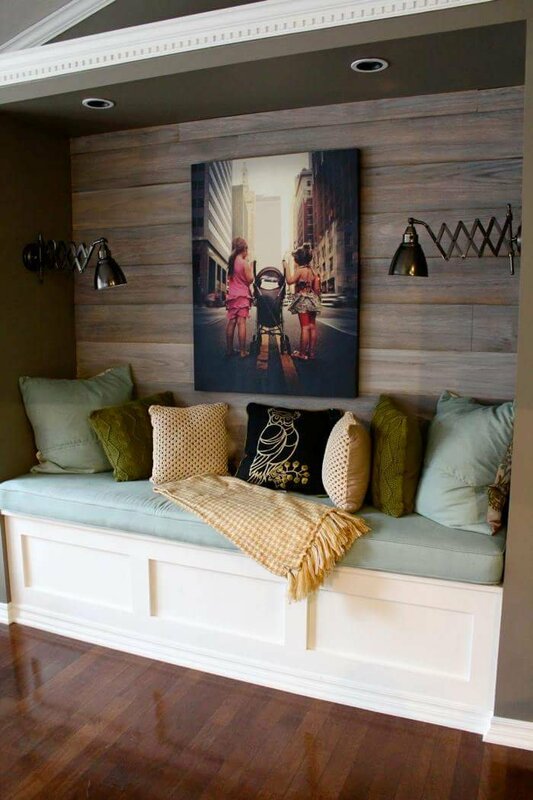 Perfectly child-sized, with a bench that stores picture books, this little reading nook can also double as a fort or a place to take a well-earned nap away from the bustle of family life. This hanging “birdcage” chair allows the reader to sway gently as they read their favorite book in a bright window. The dark blue walls and plain wood floor bring a tranquil atmosphere. Along with a pillow, throw and fleece, this nook must harken back to the days when they were read to in bed by a beloved parent. 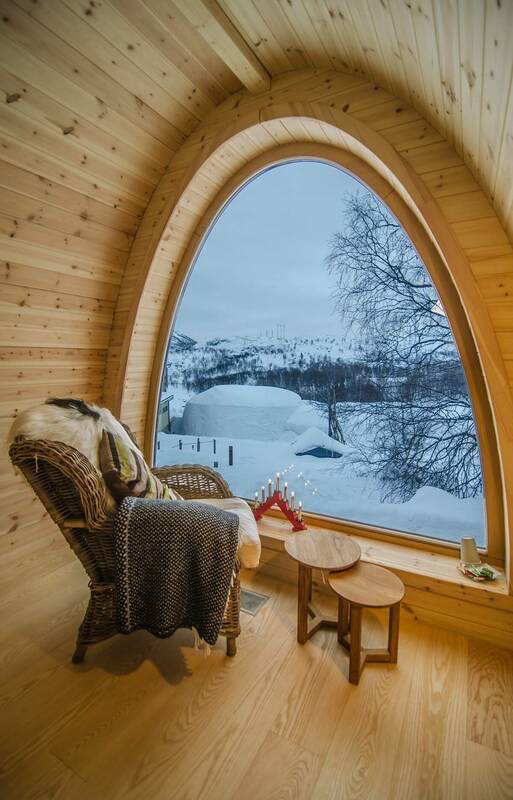 In Scandinavia, it’s not unusual to find beds in their own alcoves. They’re not only found in alcoves, but they have curtains that can be shut for maximum privacy. What’s better than for a person to read themselves to sleep among cozy, plaid flannel sheets in one of these hideaway beds on a wintry night? An all white room enhances the light and makes reading that much more pleasurable. 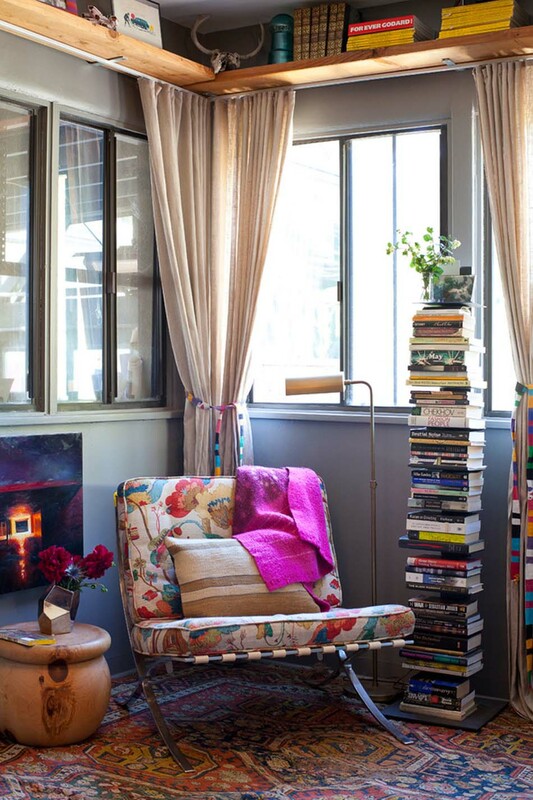 Add an overstuffed chair with a fringed throw, and the reader is all set to enter another world. The glimmer of the silver lamé ottoman to rest the feet on, the metal of a side table and the glitter of a throw pillow add a touch of decadence. This nook is for a reader who knows their books and knows just where to read them. The long bench with its fat, cuddly pillows is also a bookcase. All the reader has to do when they’re finished one book is put it in the wicker basket nearby, and reach down and grab another, sight unseen. 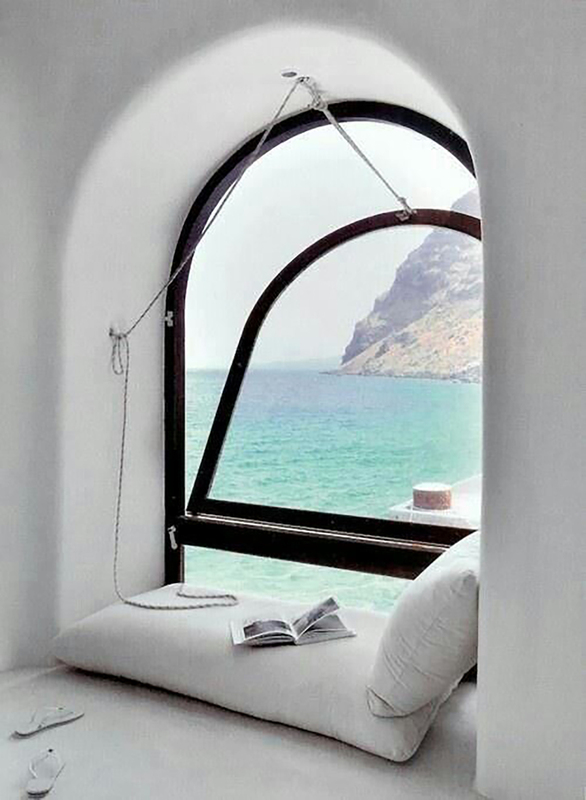 A reader can be forgiven if the view from this arched fixed window distracts them from even the most compelling book. 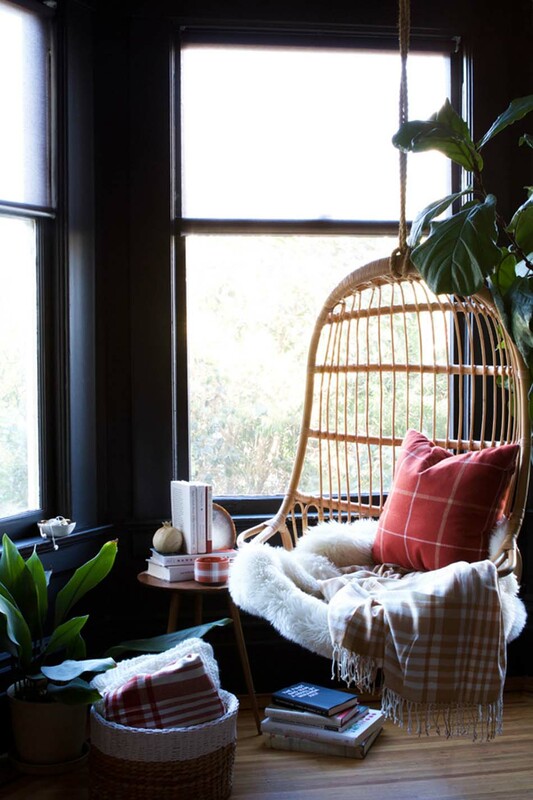 No matter where the eye wanders, being maximally cozy is a must in this wicker chair with its pillows and throw. Rest a soothing cup of tea on the little occasional table or on the shelf near the candelabra. This ultra-luxurious nook was created in a corner of a bright, white bedroom. 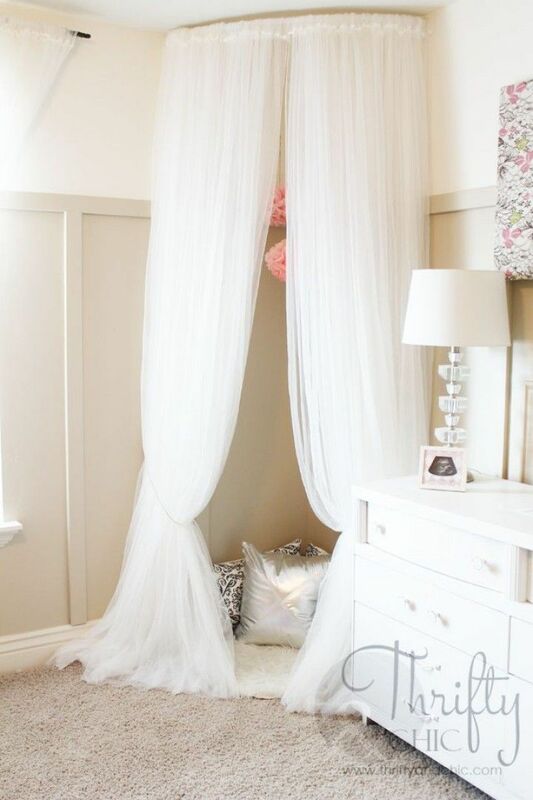 All it took was a hoop curtain rod attached to the ceiling and some long, gauzy curtains hung from it. Inside, the reader curls up on a sheepskin rug with some pillows covered with metallic fabric. Undo the curtain ties, and the world goes away. 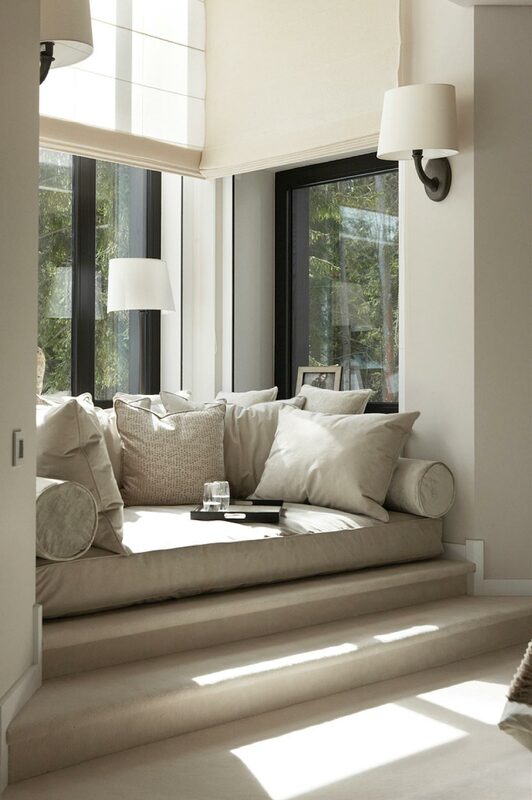 This sturdy looking nook has the requisite bench, toss pillows and fringed throw, but it’s also kitted out with sunken lights and two wall sconces attached to accordion-style arms. This allows the light to be aimed right where the reader wants it, no matter where they’re sitting or lying. An enlarged photo of loved ones makes the nook even more restful. This home library hammock is one idea that most people have probably never thought of. It’s set up between the built-in book case and the wall and accessed by the library ladder. A reader can stretch out on this hammock, and read all day. Most people wouldn’t even know where to look for them. 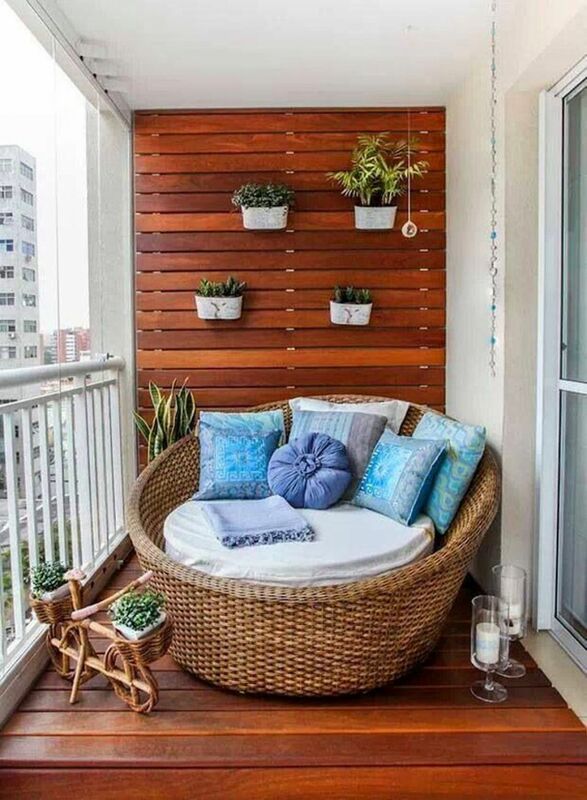 A reading nook doesn’t have to be indoors. This one is out on an apartment balcony. 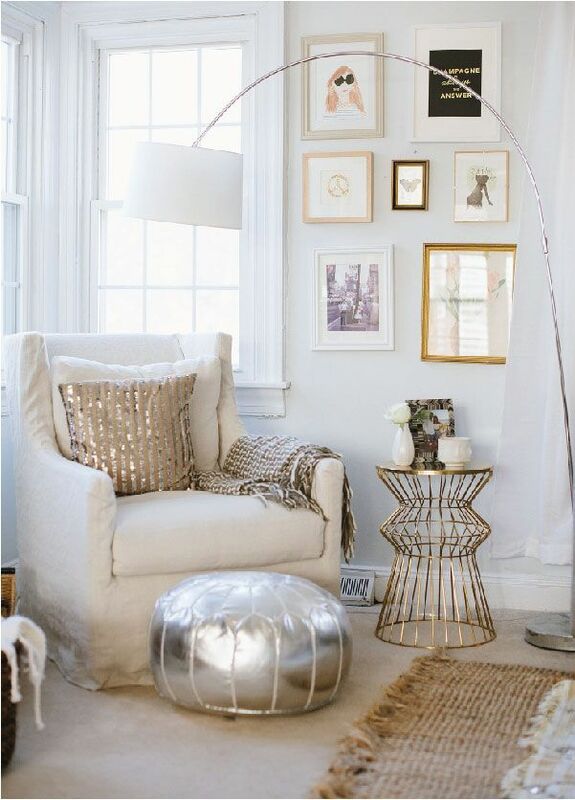 An embracing rattan mushroom chair filled with pillows makes the space as easful as possible. Pillar candles in hurricane shades are great for when the sun starts to go down, and potted plants on the wood floor and the wood wall bring nature to the city. Color can go a long way in setting the mood for a good, long reading session. This nook, made of a bench with a built-in hutch, uses soft blue gray and neutrals to set the atmosphere. The colors, nautical theme knock-knacks and beadboard bring the feeling of reading on a boat on a calm ocean. All that’s needed here is a fat, overstuffed armchair beside an occasional table in eye-popping magenta. 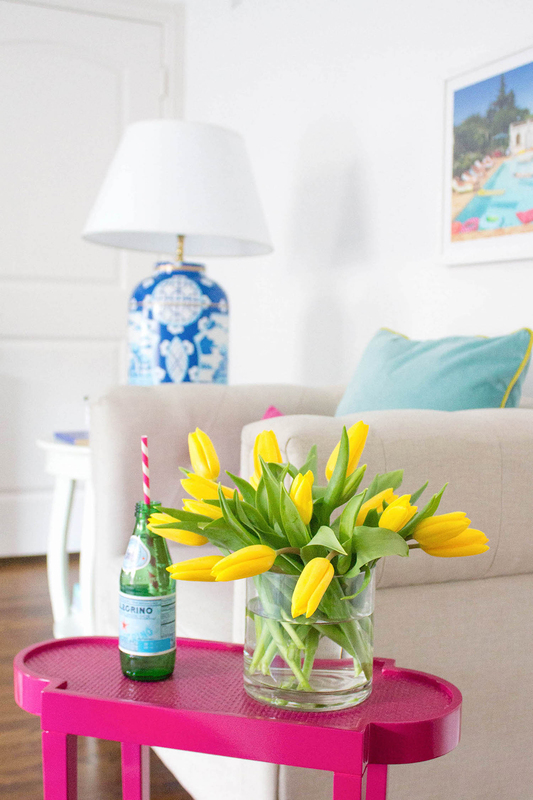 The color is echoed on a pillow and even in the straw in the bottle of water. A reader would find such a nook both comfortable and stimulating at the same time, but isn’t that why people read books in the first place? 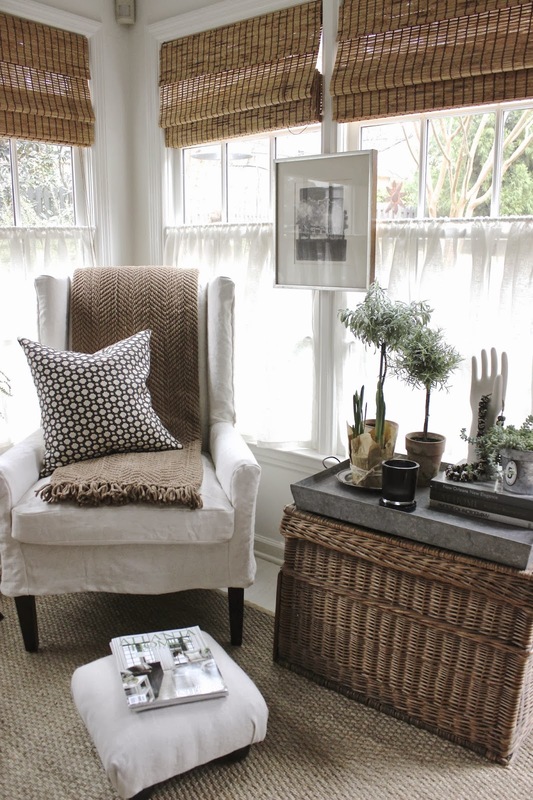 This little nook decorated with neutral colors brings serenity to a reader who wants a good read to start their weekend. White cafe curtains provide privacy while allowing the sunlight to shine in from the top of the windows. An ottoman lets the reader stretch out and rest their feet or holds the book while the reader takes a nap. 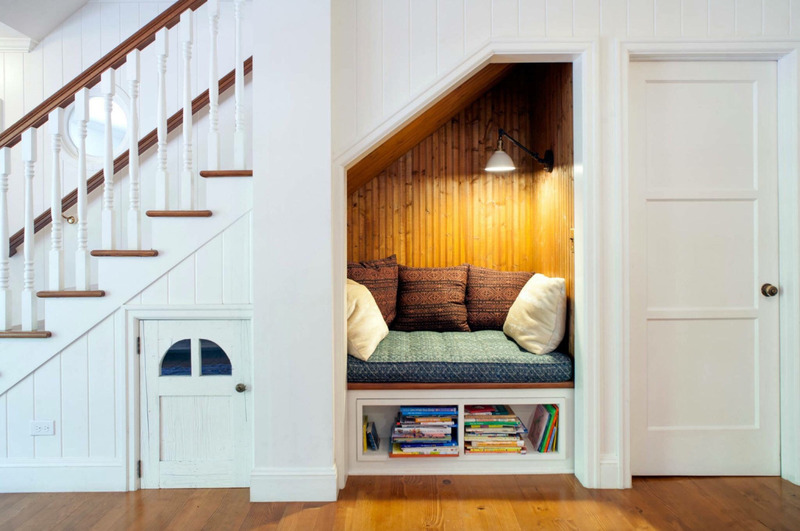 Why not have a nook for two? 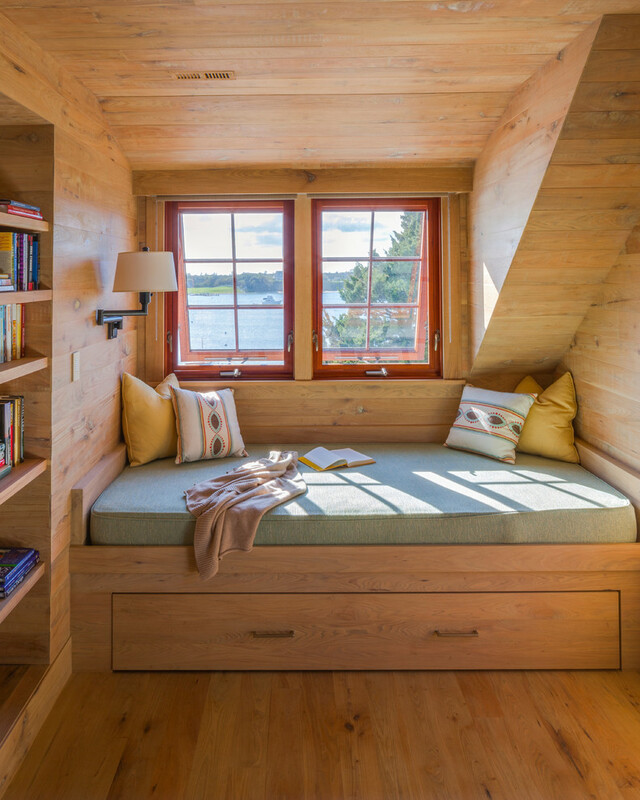 This sun-splashed, boat shaped nook in a window alcove has enough from for two people to read their favorite books, or read to each other. 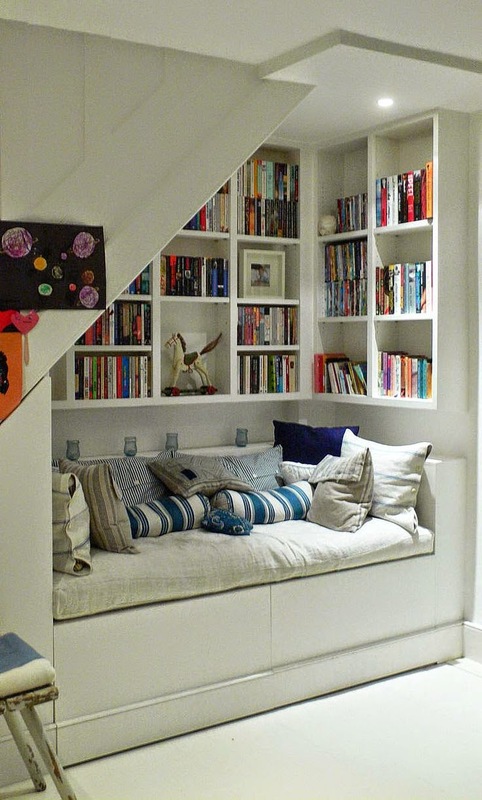 There’s just enough shelf space to hold stacks of books, and storage beneath the bench holds throws and pillows for extra cuddliness. Here’s another nook that will distract a reader from even the most gripping potboiler. An arched, out-opening casement window opens to bring in the fresh breezes from the sea and the sound of the waves while the futon keeps the reader comfortable as they try to read. Nearby are sandals for when the need to go to the beach becomes irresistible. Some readers with libraries like to color coordinate their books. 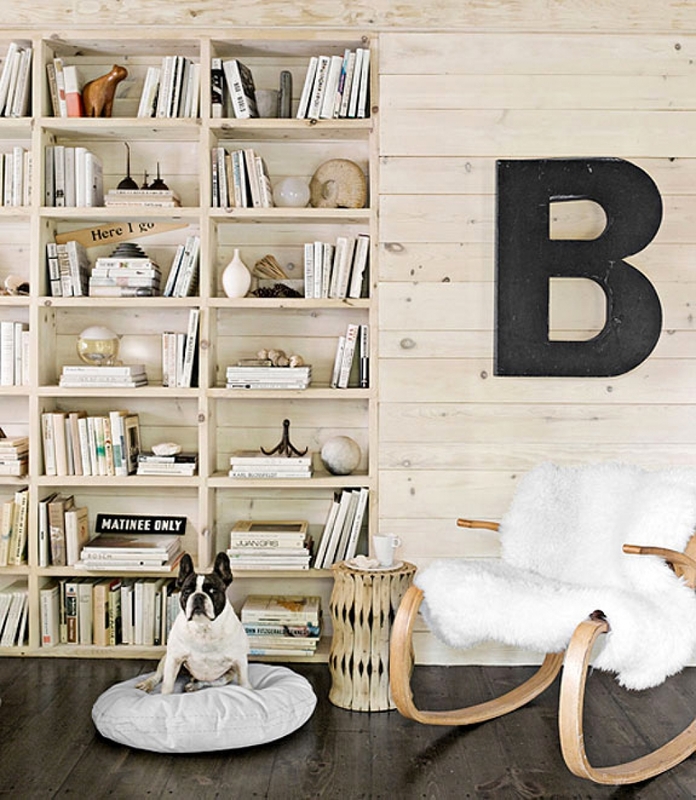 The books and knick-knacks on the built-in shelves match the pale, knotty wood of the walls of this nook. The bentwood rocker with its sheepskin cover is perfect for reading while the drum-shape occasional table is the place to put a soothing cut of tea or stimulating espresso. How about curling up on a bean bag in a thoroughly modern house? When a person isn’t marveling at how the light falls in through the oddly shaped windows, they can relax on the bean bag and read a book, a magazine or a newspaper retrieved from one of the baskets on the floor. 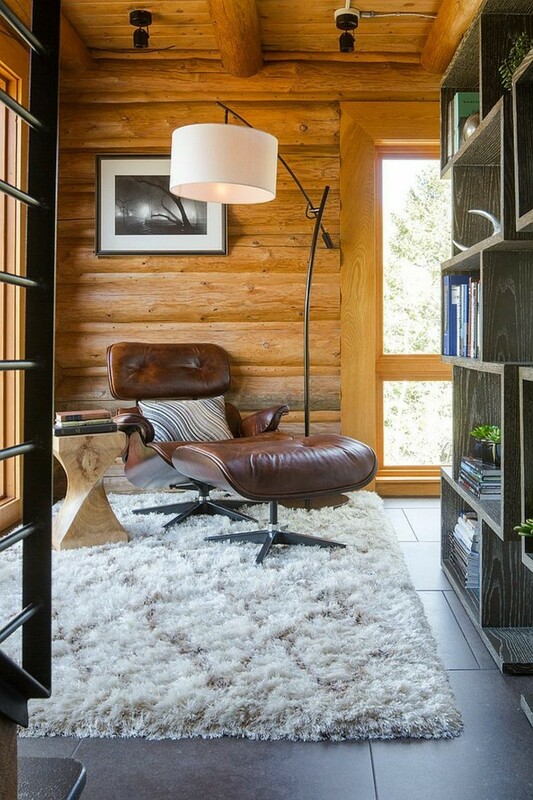 This Eames-type chair was made for reading. Upholstered in buttery leather, it allows the reader to stretch all the way out with their book. The timber of the wall and doors, the shag rug, the rough-hewn occasional table make the room especially snug. The adjustable drum-shaded light aims the light right where the reader needs it. 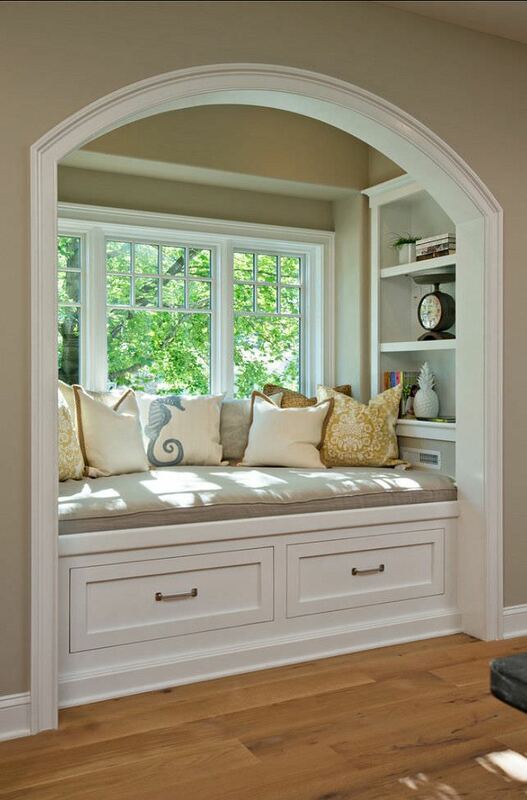 The unusual curviness of this reading nook makes it stand out. The oval window lets in natural light while the curved banquette with its quilted seat cushion almost demands that a reader stretch out in comfort. Embroidered throw pillows near another window support the head. Shelf space makes storing books and other things a cinch. This clever book rack makes it only look like the books are stacked on top of each other, so getting to that edition of The Great Gatsby at the bottom is a cinch. Not only that, the spines of the books cooperate with the 60s pattern of the Barcelona chair’s upholstery, the groovy curtain ties and the colors of the Oriental rug. This nook, done in black and shades of white, puts a person in mind of a throne. They have to climb steps to it before being embraced in its many pillows and bolsters. Once there, books can be read by abundant natural light from the window or from the light cast by the black and white wall sconces. 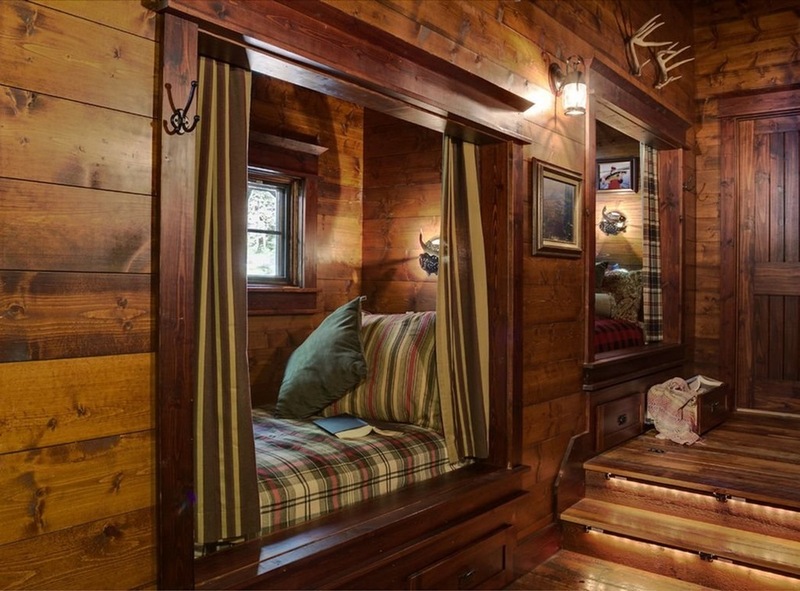 Lots of people like to read in bed, so why not have a bed double as a reading nook as well? 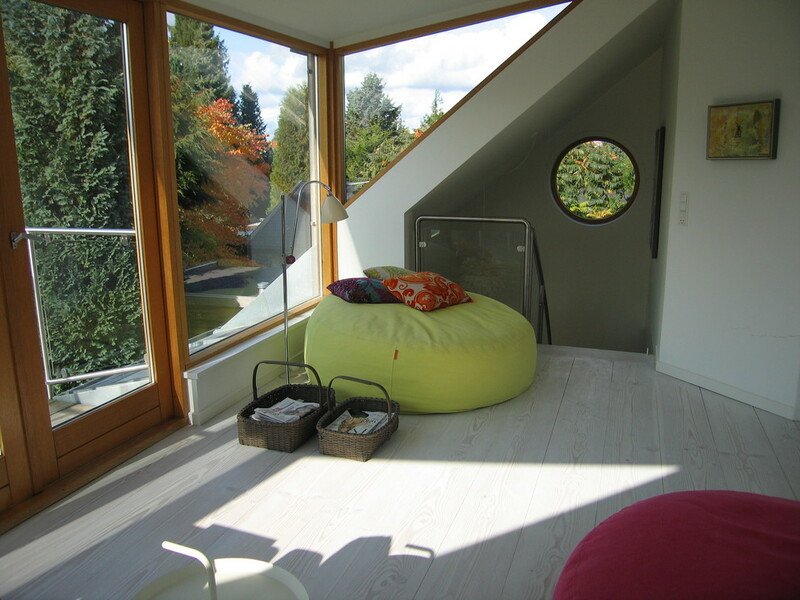 The windows of this attic room provide lots of light to read by as well as a view that refreshes the eyes. Storage space beneath holds bedclothes, and the built-in shelves hold the reader’s collection of books. Another overstuffed armchair beckons in this little corner. Different patterns like the zig-zags on the ottoman, the wide stripes on the curtain, the subtle floral swirls of the rug and the muted blues of the throws make this nook lively but not so lively that it distracts from an afternoon of reading. 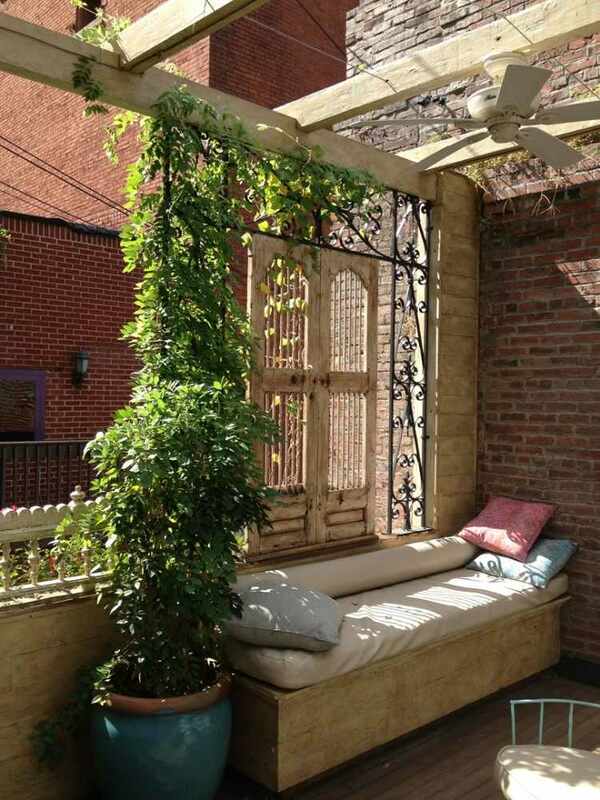 This lovely but simple nook is found on a terrace. The old bricks of the wall, the wrought iron smothered by the climbing plant, the repurposed shutters gives this place to read a Mediterranean feel that helps unleash the imagination. The rough beams of a pergola above allow both shade and natural light to read by. This is reading nook as its own library. 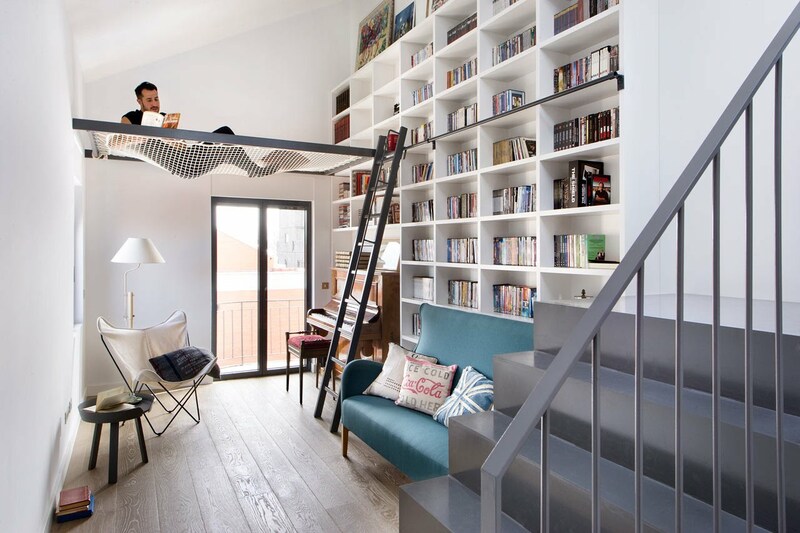 The reader crawls into this space beneath the stairs with its mass of buttoned pillows and indulges in shelf after shelf of books of all kinds. When they finally snuggle down to read, the task is made easier by bright sunken lights in the ceiling. This most elegant reading nook is fit for a Queen. Here is not simply a comfortable overstuffed chair but a fainting couch on casters that can be rolled around the room. Light to read comes by not just from the window or the floor lamp but from the multi-armed crystal chandelier above, augmented by a candle on the little tray table.